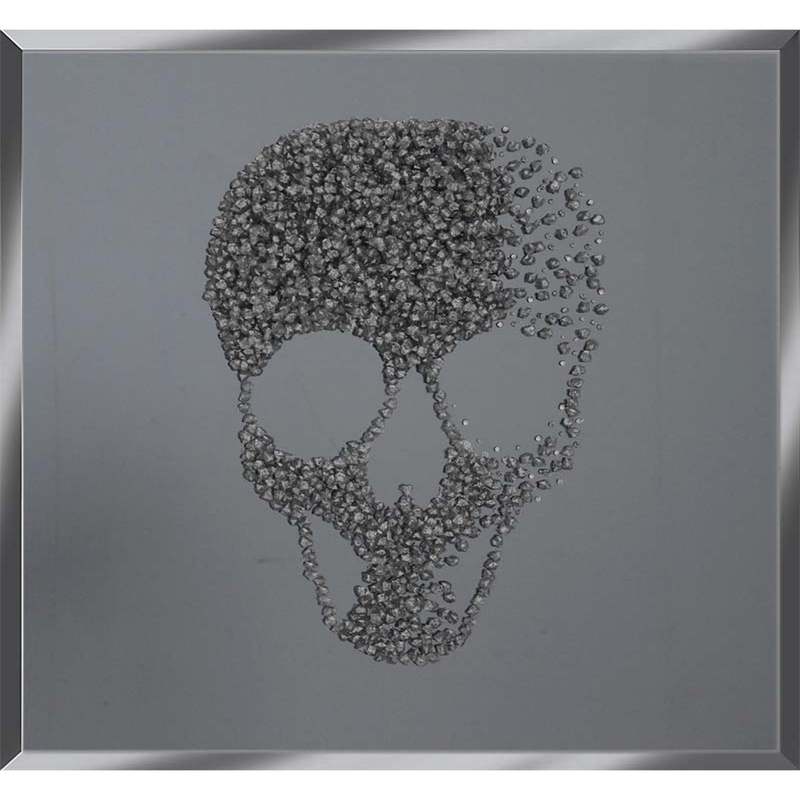 Here we have our new Silver Glitter Cluster Skull on Smoke, coming in a variety of sizes such as 75cmx75cm, 100cmx60cm and 120cmx80cm. With a abstract style and edgy but still very glam style, this is the statement piece your home is missing. Hand finished in the UK and available in custom sizes as well as our set ones this piece comes with brackets attached.